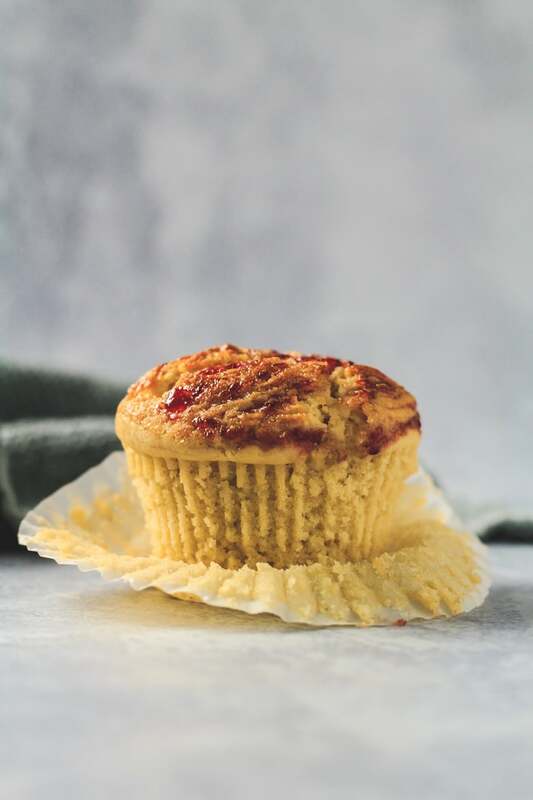 Peanut Butter & Jam Muffins – Deliciously moist and fluffy peanut butter muffins that are loaded with flavour, and filled and swirled with strawberry jam! 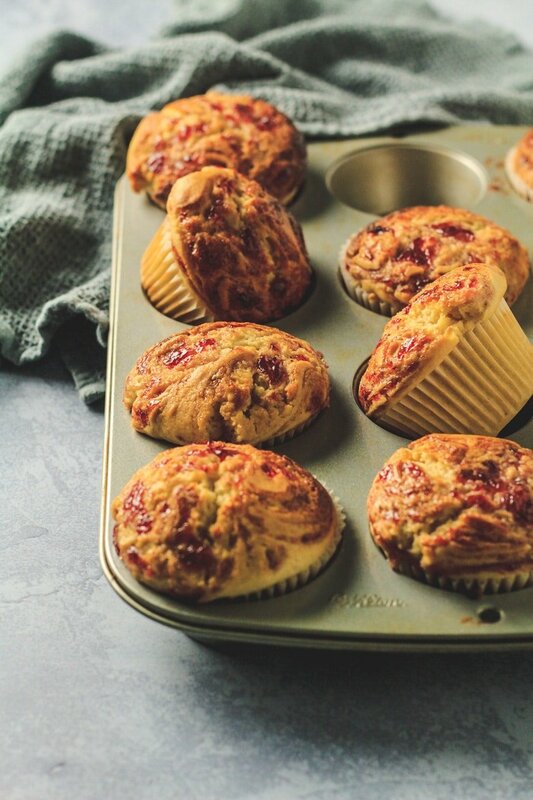 I am a huge PB&J fan, and if you are too, then you are gonna love this muffin recipe. 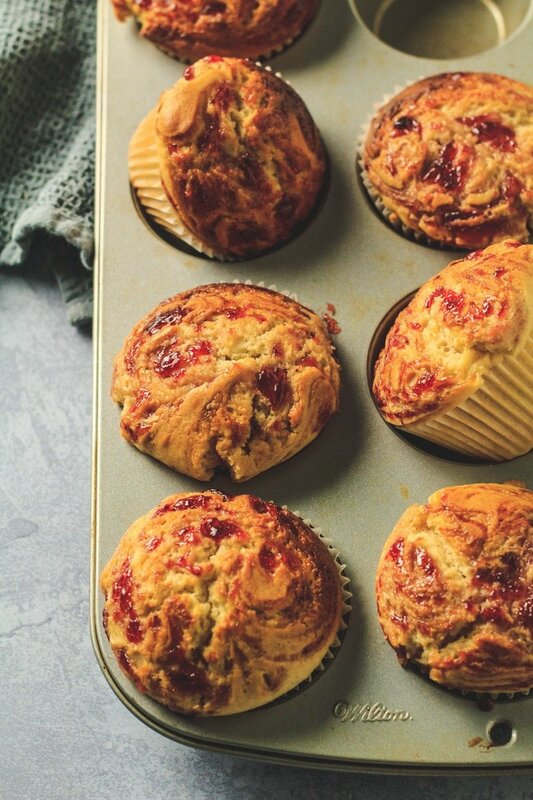 These muffins are big, moist and fluffy (whilst still being a little dense), loaded with peanut butter flavour, and they have a hidden strawberry jam centre. I’ve also swirled jam on top of the muffins too, for looks! Want more peanut butter and jam recipes? See my Peanut Butter & Jam Thumbprint Cookies, Peanut Butter & Jam Pinwheel Cookies, and my Peanut Butter and Jam Bundt Cake. Seedless strawberry jam: Or any other flavour you prefer. To make these muffins, simply start by whisking together the flour, baking powder, and salt. Set aside. In a separate large mixing bowl, whisk together the eggs and sugar until the mixture is thick and light in colour. Add the buttermilk, oil, vanilla, and peanut butter, and whisk until well combined. Add the dry ingredients in thirds, whisking in the first two times, and then folding in the third. Do not overmix. Spoon the batter into a muffin pan lined with muffin cases, filling only about halfway. Add about 1 teaspoon of jam to the centres, then top with the remaining batter, filling right to the tops. 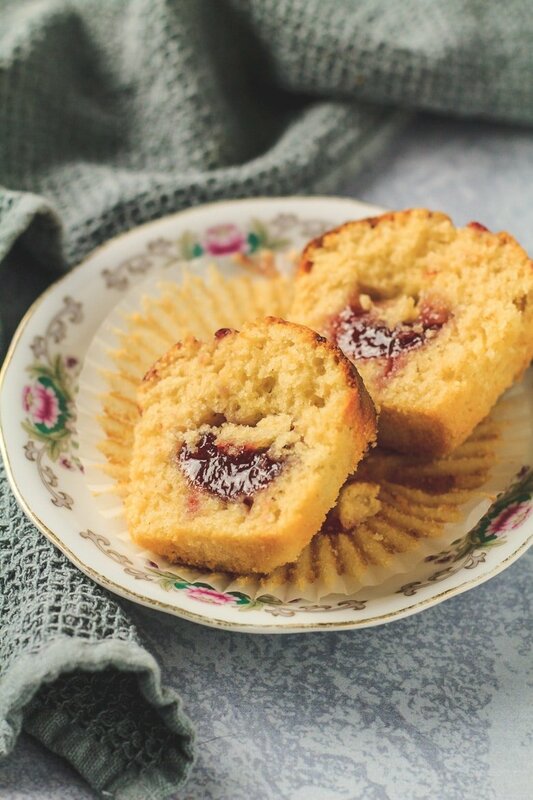 Add a little more jam on the tops of the muffins, and create swirls by running a knife or toothpick through it. I like to make this process easier by microwaving the jam first, so it is runny enough to swirl into the batter. Bake them for 15 – 20 minutes, or until a toothpick inserted into the centre comes out clean. Allow to cool for 5 – 10 minutes in the pan before transferring them to a wire rack to cool completely. OR try one warm from the oven – SO GOOD. perfect for the PB&J lovers in your life! 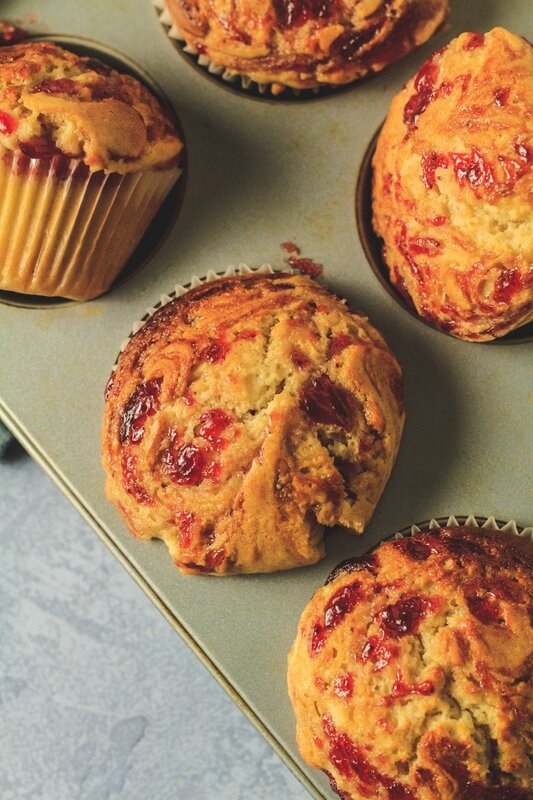 How long will these peanut butter and jam muffins last? 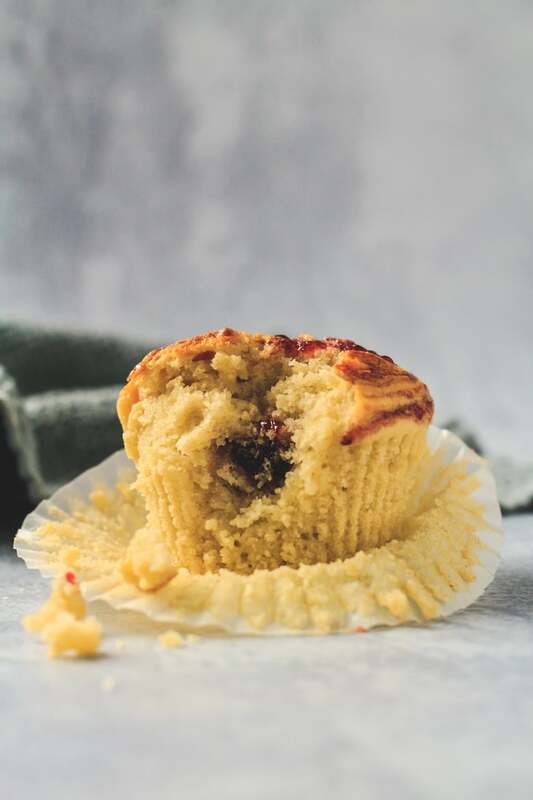 These muffins will stay fresh kept in an airtight container at room temperature for up to 5 days. Can I freeze these muffins? Yes, they also freeze well for up to 2 months. Thaw overnight in the fridge before serving. If desired, you can even warm them up in the microwave for a few seconds. In a large bowl, whisk together the eggs and sugar until thick and light in colour. Add the buttermilk, oil, vanilla, and peanut butter, and whisk until combined. Add the dry ingredients in thirds and fold in until just combined - do not overmix. Spoon the batter into the muffin cases, filling only halfway. Add about 1 teaspoon of jam to the centres, then top with the remaining batter, filling to the tops. 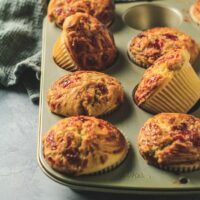 Add a little more jam on the tops of the muffins, and create swirls by running a knife or toothpick through it (microwave the jam beforehand to make it easier to swirl into the batter). Bake for 15 - 20 minutes, or until a toothpick inserted into the centre comes out clean.